Smooth muscles of wall of blood vessels. Smooth muscles of the wall of viscera including heart. Smooth muscles of wall of visceral blood vessels. These medial branches are known as splanchnic branches. Some of the preganglionic fibers, after reaching the corresponding sympathetic ganglia, may not come out either as lateral branches or medial branches. These fibers, either ascend or descend, to reach one or two ganglia above or below, where they relay to pass as postganglionic branches of that ganglia. 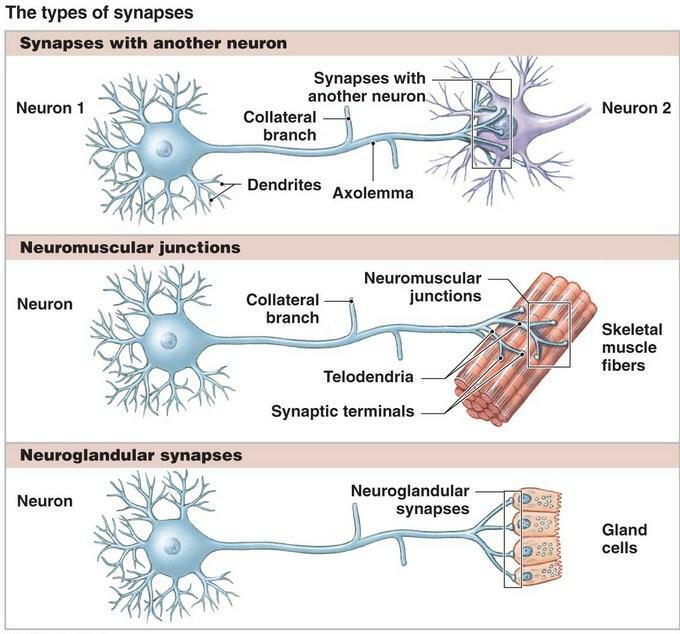 These fibers of sympathetic ganglia, ascending or descending for one or two ganglia level up or down, explain the formation of sympathetic chain or sympathetic trunk. Outflow above T1 and below L2 ganglia: As the center for sympathetic system extends from T1 to L2 segments of spinal cord, outflow from T1 to L2 ganglia corresponds to the sympathetic connector neurons of respective segments of spinal cord. Superior cervical ganglion: As gray rami to upper four, i.e. C1–C4 nerves. Middle cervical ganglion: As gray rami to C5 and C6 nerve. Inferior cervical ganglion: As gray rami to C7 and C8 nerves. Medial branches from all the three ganglia are postganglionic to pass to the viscera of neck and thorax. Below L2 segment, there is no sympathetic center. But there are still sympathetic ganglia corresponding to lower lumbar (L3–L5) sacral (S1–S5) and one coccygeal nerve. These ganglia receive preganglionic fiber from connector neurons of lower thoracic (T11 and T12) and upper lumbar (L1 and L2) sympathetic centers of spinal cord. Postganglionic fibers pass from each of these ganglion to come out as following branches.